Just call or write and I will do my best to work out a date that is satisfactory for you and the Church. Host churches are requested to pay the Evangelist’s air fare, motel, meals, etc. We request that the travel expense check be made separate from the love offering. This is for tax purposes. Since travel is Reimbursement, and not love offering, it must be handled in this manner. I never mention money from the pulpit. However, I know that people must be encouraged to give. 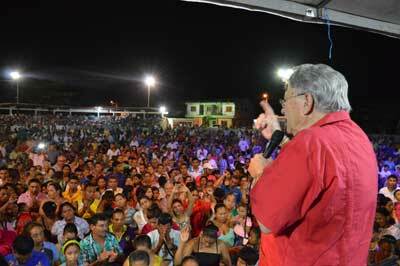 I trust the pastor to explain the needs of an evangelist and to encourage his people in giving. I do not enjoy the benefits afforded a pastor, such as a parsonage, utilities, retirement, car and convention expenses. In addition to these expenses, I have office and secretarial expenses that must be paid. Since Revival offerings are my only support, the following plan is suggested and has proven more than satisfactory. Special love offering envelopes for the Evangelist will be provided without charge for distribution beginning the first service of the meeting. Since this is a brief four day meeting it is a must to begin the offering on Sunday morning. Most churches have the revival expenses of travel, motel, advertising, etc. in their budget. If these expenses are not in your budget they should be received prior to your crusade. Only the love offering for the Evangelist should be received during the crusade. After a date has been agreed upon we will provide you with a copy of our preparation manual “Your Guide to a Successful Revival with Larry Taylor”. This manual contains a lot of helpful ideas that will enable us to get the most out of our Evangelistic effort. I believe the Bible is the inspired and infallible word of God. (2 Tim. 3:15-16). I believe in one God, eternally existent in three persons; Father, Son and Holy Spirit, (Matt. 28:19, Mark 12:29). I believe in the virgin birth of Christ, His vicarious, atoning death, bodily resurrection and ascension, (Rom. 8:34, Acts 1:10). I believe in Salvation through faith in Christ based on the blood of Jesus Christ, (Eph. 2:8-9, Rom. 10:13-15, I John 5:10). I believe a person who believes in and accepts by faith Jesus Christ as his Lord and Saviour is saved once and always, (John 3:16, John 10:28-29, Rom. 8:38-39). I believe in one Baptism, The Baptism of the Holy Spirit, for the purpose of putting us into the spiritual body of Christ as his children, (I Cor. 12:13, Eph. 4:4-6). I believe in water baptism for believers as a symbol of their spirit baptism, depicting the death, burial and resurrection of Christ, and showing that the believer has been crucified with Christ and should now walk in newness of life, (Rom. 6:3-7). I believe when a Christian daily crucifies self and continuously is filled with the Holy Spirit, he will not fulfill the lust of the flesh but bear the fruit of the Spirit, (Gal. 2:20, Luke 9:23, Eph. 5:18, Gal. 5:16-26). I believe in the local church composed of baptized believers, not simply an organization but as a living organism with Jesus Christ as the head and the Holy Spirit as the heart, (Eph. 1:22-23, Rom. 5:5). I believe that real revival will come when we lament the darkness of our mind, the stiffness of our will, the dullness and inexorbitancy of our affections, and importunately entreat the God of all mercy to renew a right Spirit within us, (PS. 85:6, II Chr. 7:14-15, I John 1:9, PS 51:7-17). I will send you one of my Revival sermons on audio tape if you will drop me a line requesting it along with your snail mail address. Copyright © 2019 Larry Taylor Ministries. All rights reserved.